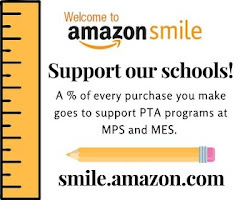 Your donations to PTA help us to create the Student Directory through Myschoolanywhere.com, which includes student information for both the Primary and Elementary schools. Like last year, our system will involve 2 steps: collecting/confirming your information online and then giving you secure access to the online system. Returning families that were in the directory last year: You will receive an email from MiddletownPTA@gmail.com within a week with a confirmation link to your current information. At that time, you can update your information using our secure online form. *Make sure it doesn’t go to your spam folder! Once we have received and reviewed your family’s information, within another week or so, you will receive a second email with login instructions. At that point, you will have full access to the directory. You can access the family directory from any internet connected device: your computer, smart phone, iPad, etc. The directory, prepared by the PTA, is for use in the school community only for school-related purposes. It provides a service to students and their families so that they can search for contact info. Many people choose to use this for things like: birthday party invites, class rosters, individual contact information, playdates, etc. The Student Directory is also primary resource for communication. It is used to notify you about events and opportunities and is a wonderful resource for school friends (and their parents) to contact each other at home. The directory is for student (and parent) use only. Any other use is strictly prohibited. Information in the directory may NOT be used for business or solicitation purposes under ANY circumstances. Who is in this directory? Students at Middletown Primary School and Middletown Elementary School, regardless of whether or not they are members of the PTA will be in the directory. The faculty and employees at each school are also included in the directory, along with their work contact info. We input data given to us by MPS and MES administration based on student enrollment. We have included anyone we know to be on a teacher’s class roster. Who has access to the information? Is it public? Only students who were invited to join and went through the eConfirm process have access. It is not available to the public or anyone simply searching on the internet. Once you’ve gone through the eConfirm process you will have the option to opt-out of the directory and/or keep certain pieces of information hidden from view or omitted entirely. By default, we include any information that the school is legally permitted to share with us. What if I don’t want something in particular listed? Privacy flags let families control what they want displayed or opt out of the directory all together. They can also control displaying in the print versus solely in the online directory. Each family has one record and all of their children (at either school) are grouped under that record. In the case where a child’s last name differs from a parent’s, the record is listed under the child’s last name and the parent’s last name is in the detail section. How is the directory distributed? Once we receive a sufficient number of activations, we will grant access to those families and the database will be “live.” This will likely be in the first week of September. Families will have the option of printing the directory if they choose or simply accessing it online as needed. The PTA will not be distributing any print directories, as they had in the past. What are some of the features of this new directory? Search by student, family or teacher. Enter partial name, grade or teacher to help narrow your search results. Each user can create their own custom family favorites list of frequently called numbers. Use Map It! feature which links an address right to Google maps. Parents can print email and phone lists by grade and class and print their own favorites list. The best part of the directory is that we can keep it current Parents can update their data throughout the year.\, whenever something changes. Our directory is accessible on mobile devices through multiple platforms. You can also purchase items through the online “store” (such as PTA memberships, Spirit Wear, etc) using Pay-Pal. The advantage of this directory service is that all records will be “graduated” each year and parents can re-confirm with one easy click at the beginning of each school year.